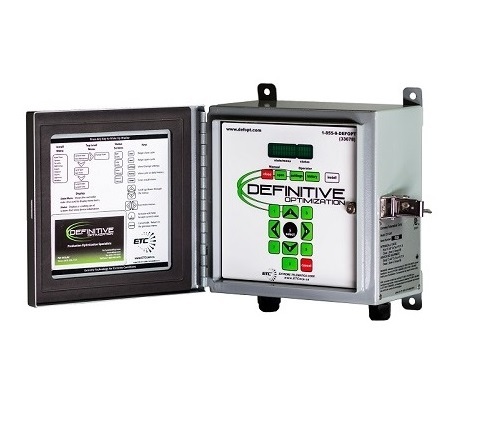 Originally designed to withstand extreme weather conditions, Definitive Controllers will run for more than 5 months without solar power and will function in temperatures as low as -40 Celcius (Fahrenheit). 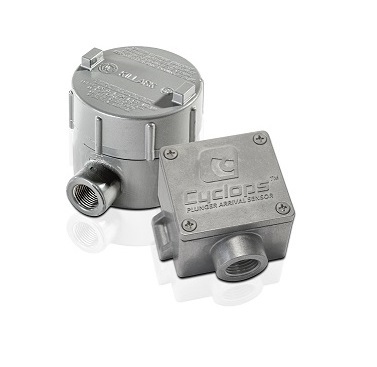 The watertight steel enclosure has a locking door latch and several pre-punched ports to provide a variety of options for solenoid and wiring connector locations. 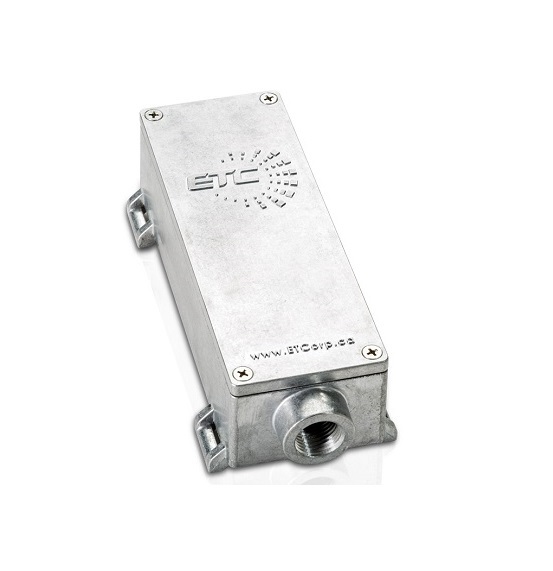 Both the IS (Intrinsically Safe) and EXP (Explosion Proof) Sensors are designed to operate in the same harsh conditions as the controller. Extensive testing has proven that even a slow-moving, non-ferrous plunger won’t slip by the omniscient eye of the Cyclops™ . Users can adjust the sensitivity levels easily with a built in 7 setting dial. Sasquatch is the next stage in the evolution of plunger detection. It is the first ever plunger velocity sensor, it will tell you the arrival time and the velocity of the plunger measured at surface. Repetitive fast plungers are a common problem in plunger lift causing costly damage to equipment and production downtime . A lubricator breach can lead to incident reports, spills and injuries. Sasquatch gives you the power to prevent these occurrences by enabling detection of fast plungers long before they cause problems. The unique design of Sasquatch is based on the proven Geomagnetic Sensing Technology™ behind the Cyclops® plunger arrival sensor. This line of plunger sensors provide advantages that no other plunger sensors offer, such as the ability to adjust sensitivity, upgrade software, or troubleshoot problematic wells right at the well head.